Chakra is a Sanskrit word meaning wheel and it refers to each of the seven energy centers of which our consciousness is composed. These chakras function as pumps, regulating the flow of energy through our body. They interact with the physical body through two major vehicles, the endocrine glands and the nervous system. There are seven chakras in our body and each of them is associated with one of the seven endocrine glands, and also with a group of nerves called a plexus. Thus the chakras can be associated with particular parts of the body. Understanding the chakras allows you to understand the relationship between your consciousness and your body. This helps you to get a better understanding of yourself. Through this DVD, Trisha Maharaj Singh guides us through each of the seven chakras that has different frequency of vibration and colour that it is attuned to. 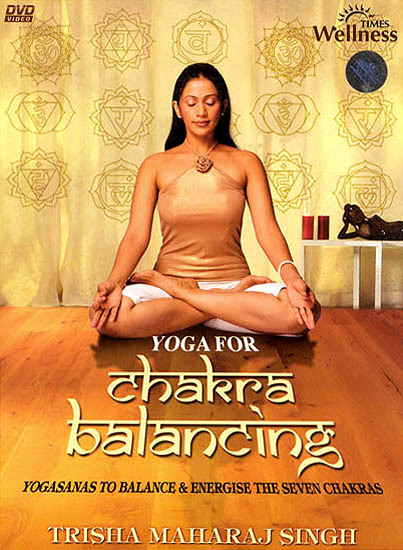 The DVD helps one to balance, clear, and energize the seven chakras through various asanas, which would be in tune and play the most wonderful sound of your inner harmony.